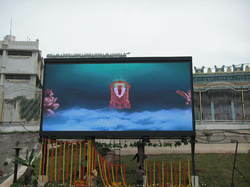 Manufacturer & Exporter of LED Video Display. 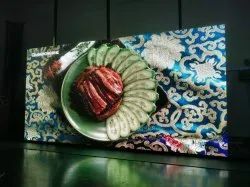 Our product range also comprises of LCD Video Wall and LED Display.Due to our quality assure product array we have been able to develop a long term relationship with our huge patrons. We are highly appreciated in the domestic market for our exquisite collection of Outdoor LED Sign. These LED signs are manufactured keeping in consideration the variegated requirements of our respectable customers. Our experts make sure that qualitative components and advanced technology are used to manufacture the offered range of signs. Our domain expertise has enabled us to come up with an excellent collection of Indoor LED Video Displays. Manufactured using optimum quality material and advanced technology, these displays are in tandem with international quality standards. Moreover, our range is widely used for various applications like advertising, sports and public service messaging. 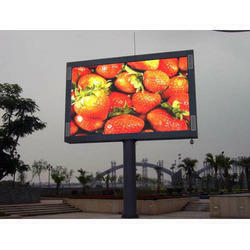 We are instrumental in manufacturing, supplying, trading and exporting Outdoor LED Video Display. These full color and multi-color displays are used for various applications like advertising, sports and public service messaging. Our offered range is manufactured using best quality LED's and industrial grade components for round the clock functioning. In pitches ranging from 10mm to 31.25 mm. Looking for LED Video Display ?